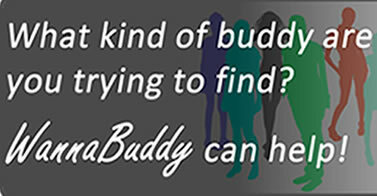 It seems that everyone knows their body mass index or BMI. So much of our self-image is driven by this one number! The BMI was created to relate our height and weight to a universally accepted ratio of body fat. Did you know that the rules changed without anyone telling us? Your BMI is defined as your weight, times 703 divided by the square of your height in inches. Before 1998, the meaning of the resulting number in the US was not aligned with the scale used by the World Health Organization. That change was pretty tough on Americans. Looking at the world as a whole can lead you to believe that the “average” human is a pretty lean individual. Life in America is a bit different. 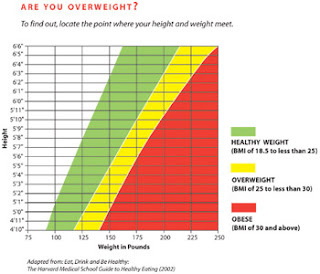 The BMI scale does not consider these cultural and dietetic differences. Under the post-1998 scale, about 55 percent of the U.S. population is in the “overweight” category of the BMI scale. Ouch, that’s pretty harsh. It might make you feel better to know that pro baseball MVP Cal Ripken Jr. is also overweight using this scale. Really? The creeping danger of this sliding BMI scale is apparent when you visit your doctor. Let’s suppose you have a sore knee. Is your BMI in the overweight category? If so, you will probably be told that you need to lose 20 pounds to make your knee better. That’s it. If you have a BMI of 25 you are now responsible for every ailment because of your weight. Bam. Forget an MRI or an anti-inflammatory, you need a diet before you can get real medical help. If you had the same doctor’s visit in 1997, you wouldn’t be overweight and the doctor would actually work to solve your issue. Without question, obesity is a real health issue, especially in the U.S. But one’s BMI should be given no more credence than a blood pressure reading when treating a patient. It is time for doctors to reopen their eyes. Your right. I went to my physiatrist, not doctor for a change of my anxiety medicine since it didn't work. My dad triggers my anxiety, depression, and stress eating (ive been under eating actually). He ambushed me to hop on e scale in front of my mom and therapist. I'm 5"4 and 189, the scale made me 10 lbs heavier. He went from comtimplating a switch of my medicine, to just lowering the dose, blaming me for my stress (under) eatting and anxiety. Telling me my dad shouldn't be to blame because Im the one that chooses to eat. And telling me I don't care about my health, this was verbatim. I've been crying for the past 2 days since I went and I feel severely depressed, almost to the point of self harm. No psychiatrist has ever made me feel this bad about myself. I suffer from many illnesses and try my best to exercise. But my weight has nothing to do with my anxiety. I feel so humiliated.